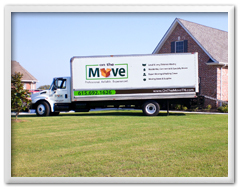 On the Move breaks the moving company stereotype by hiring clean-cut and reliable movers. We consistently deliver exceptional service, distancing ourselves from our competitors. On the Move has moved thousands of families all over the country. From California to New Hampshire, Illinois to Texas, we ve proved that moving companies can be professional, reliable, and experienced. On the Move is an active part of the Middle Tennessee community. 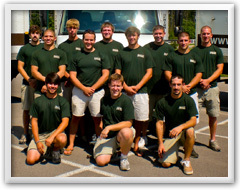 We have donated over 1,000 hours to community and non-profit organizations by providing movers and moving trucks. We are a multi-year Ruthies Award recipient for favorite moving company in Rutherford and Cannon Counties: a testament to our customer focused outlook. Whether you are moving apartments locally or relocating your business across the country, On the Move is guaranteed to offer you the Best Movers and the Best Prices. By sharing your experience with On The Move , it will help other customers to make a right choice of using this company.